When those wise gents at Fever-Tree said if 3/4 of your G&T is the tonic, mix it with the best I doubt they'd imagined how big their tonic could become - changing the spirits world for the better and becoming the World's best-selling and top trending tonic water. 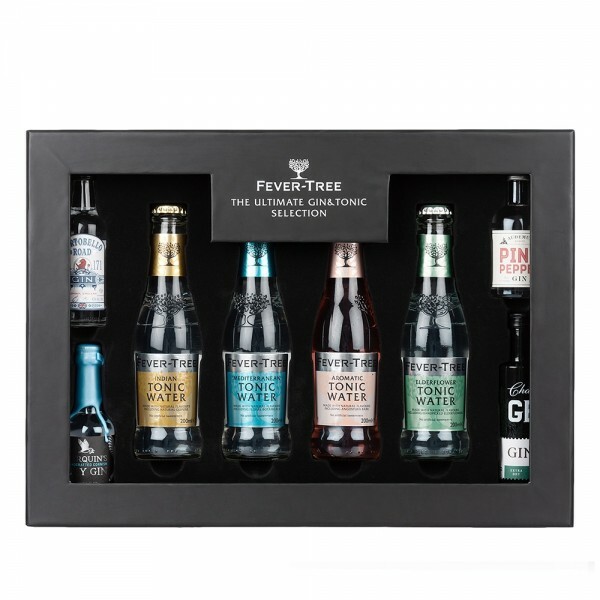 This Taster Pack give you the chance to try four of the delicious Fever-Tree flavours, perfecttly paired with some of the UK's best gins; Portobello Road, Tarquin's Cornish Dry, Chase GB & Pink Pepper. The classic Indian Tonic Water is joined by the citrus-lead Mediterranean tonic, the herbaceous Aromatic Tonic made with bitters and the floral Elderflower Tonic.